→Let Your (Dining Room) Light Shine! Let Your (Dining Room) Light Shine! In this month’s blog post, I encourage you to “turn on the lights” (in the dining room, that is). 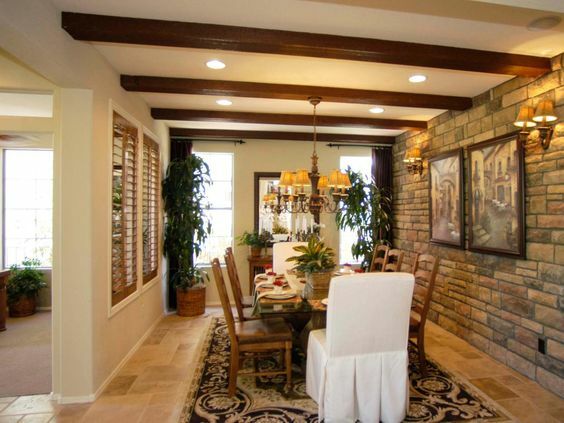 Are the light fixtures evenly spaced on the wall both from each other as well as the corners? Try to imagine artwork nearby and visualize what looks symmetrical versus off-center. Traditionally, chandeliers were the main lighting fixture in a dining room, but they no longer have to be. You can use a series of pendant lights hanging evenly above the table or mini-chandeliers to produce a more modern effect. If your fixtures have crystal in them, did you know low-voltage halogen bulbs will help them sparkle even brighter? 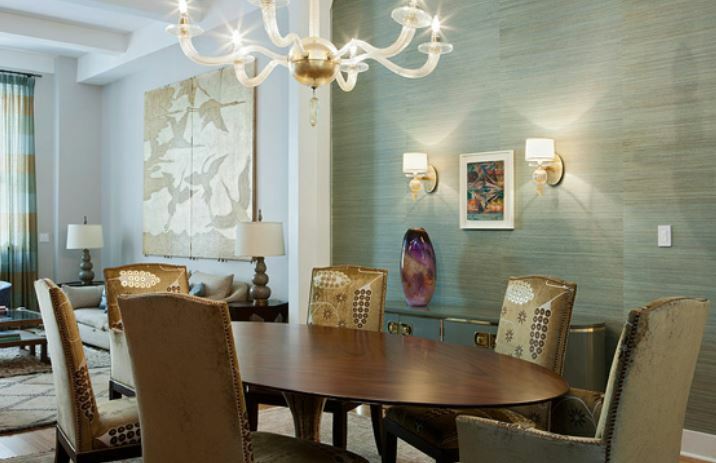 Don’t be afraid to go against tradition and use recessed lighting with wall sconces on the sides. Again, just make sure you don’t limit future homeowners by not considering all of the angles when determining the sconce placements. If you choose to use both sconces and a central ceiling fixture like a chandelier, make sure they complement each other both in style and design. Check out the 3 photo examples below of what works compared to what could pose a challenge down the road. While a beautiful space overall, see how limiting this lighting arrangement will be for future inhabitants. What’s wrong with this picture? Think about what will happen if the next owners don’t have 3 pieces of art to display here. Check out how balanced the lighting is in this space, incorporating 3 different styles all harmoniously. It can be done! I hope I’ve “illuminated” you on just a small sliver on the importance of choosing the right light fixtures in a formal space like the dining area. There are so many more aspects to this topic that you’ve probably never considered, so we’ll be “shedding more light” in future blog posts. Until then, Happy Staging!